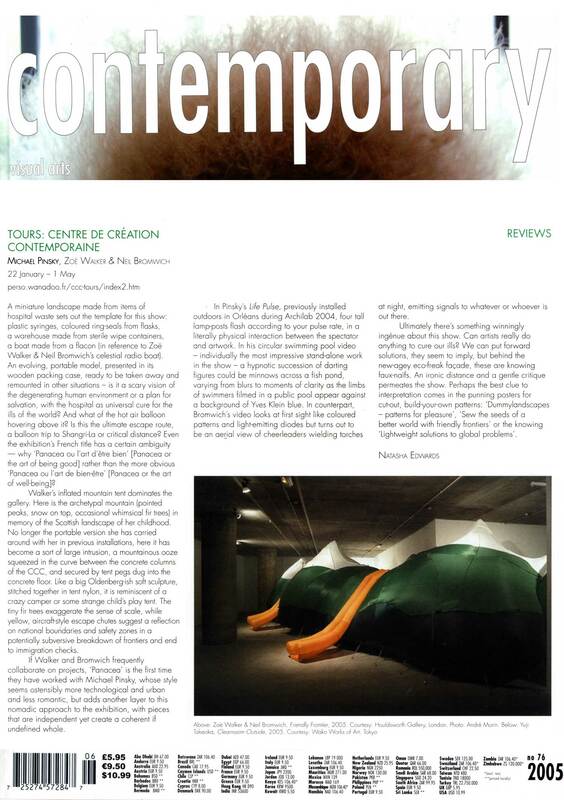 Panacea made its first appearance at the Centre de Création Contemporaine (CCC) at the beginning of 2005. Two major commissions, Friendly Frontier and Life Pulse were realised as protypes in the gallery space. 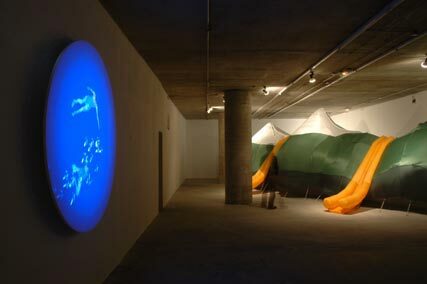 '[Bromwich and] Walker's inflated mountain tent dominates the gallery. Here is the archetypal mountain (pointed peaks, snow on top, occasional whimsical fir trees) in memory of the Scottish landscape of Walker's childhood. No longer the portable version she has carried around with her in previous installations, here it has become a sort of large intrusion, a mountainous ooze squeezed in the curve between the concrete columns of the CCC, and secured by tent pegs into the concrete floor'.